We know it can be frustrating searching for a life insurance policy with a history of Bariatric Surgery.The good news is there is hope. In fact, tough life insurance cases are our specialty at High Risk Life Insurance Agency. Can I Qualify for Life Insurance if I have Bariatric Surgery? Yes, most individuals with Bariatric Surgery will be able to qualify for traditional life insurance, the type of insurance which requires a medical exam. Best Case – The best case for Bariatric Surgery would be one without mild complications such as diarrhea after eating, infection or presence of bloating within the patient admission to the hospital or the period of at least six months. Another best case would be prompt recovery from such complications within the hospital confinement. These cases are usually rated at “Mild Substandard” Click here for quote at “Mild Substandard”. Moderate Case – Those with moderate complications such as leaks on the post-operative site, dumping syndrome or development of secondary illnesses like hyperparathyroidism may still qualify for a “Medium Substandard” rating as long as the symptom are controlled and managed. Click here for a quote at “Medium Substandard”. How many years ago was the Bariatric Surgery done? Bariatric Surgery done earlier than six months may have to wait at a later time before a rating can be given. Cases done for more than two years and with no record of moderate to severe complications may qualify for a “Mild Substandard”. Symptoms of diarrhea after eating or bloating may be complications that need immediate attention. These cases are usually given a “Mild Substandard” rating if managed successfully. 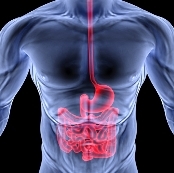 Other symptoms such as dumping syndrome or leaks may result to moderate to severe complications. The best rating these cases may get is at “Medium Substandard”. Are you taking medications now and for what symptoms? The need for medications even for simple symptoms of infection may mask a more serious complication that may need further evaluation. Do you have regular check-ups with your surgeon? Regular visit to your surgeon will establish your medical and surgical record and will be used to determine the most appropriate rating. Have you had any relevant diagnostic tests in the past six months? Recent diagnostic tests such as X-ray or ultrasound will show if the stomach pouch or bypass is in excellent condition. Weight loss accomplishment will also prove the success rate of the surgery. Bariatric Surgery, also known as sleeve gastrectomy or biliopancreatic diversion with duodenal switch is a weight-loss surgery. The objective is to reduce the stomach size to limit food intake and, therefore, aid in weight reduction. The procedure involves the removal of a portion of the stomach, resection of a small stomach pouch (gastric bypass surgery) or through the insertion of a gastric band to significantly decrease the food intake. Common complications of Bariatric Surgery include dumping syndrome, bloating, leaks at the post-operative site, diarrhea after meals, infection, incisional hernia, and in severe cases metabolic bone disease or secondary hyperparathyroidism.